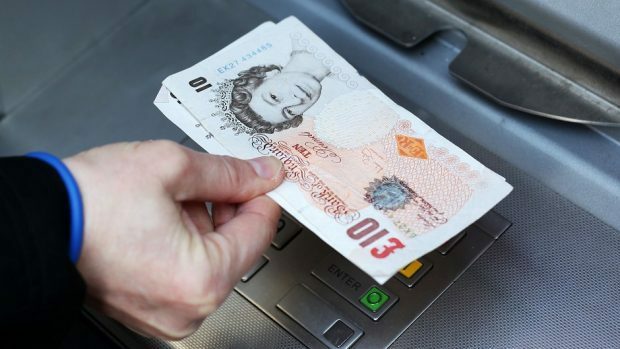 Thieves are operating a sting where they “harvest” money from cash machines, leaving users unsure if they have been fleeced or not. Police have issued a warning after several incidents in Keith, Elgin and Forres – and now the culprits seem to be moving west to an Inverness retail park. The Moray incidents took place on Tuesday – one at the Spar shop in the Regent Street area of Keith, another at the Tesco in the Nairn Road area of Forres, a third at the Tesco in the Blackfriars Road area of Elgin and Nationwide and Bank of Scotland in the High Street area of Elgin. There have also been similar incidents reported at Boots and Tesco in the Eastfield Way area of Inverness. It is understood the thieves have found a way of interfering with the part of the machine that delivers the money to divert so it does not come out the slot, but can instead be collected later. Police admitted they were unsure how much cash, if any, had been stolen – but issued a warning to users of ATMs in any of the locations. Detective Inspector Norman Stevenson, from Aberdeenshire and Moray Division, said: “We are appealing for any members of the public who may have seen anything suspicious or unusual around these areas yesterday to get in touch with us. This can include seeing someone loitering nearby ATMs or if you have had any issues trying to withdraw cash in these areas.